A two passenger, three wheeled motorcycle. 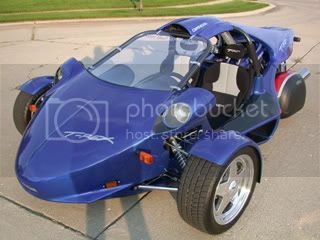 It looks a lot like a small car, but it is classified as a motorcycle. via gizmag.